Uber Technologies has arrived at a settlement with drivers in two lawsuits, that could see the company paying up to US$100 million, but without a change in the classification of its drivers from independent contractors to employees. The settlement, submitted in court Thursday, is a big boost for the ride-hailing app company as driver reclassification would have raised its costs in terms of employee benefits as well as set a precedent for similar court disputes against on-demand companies that typically use contract workers. 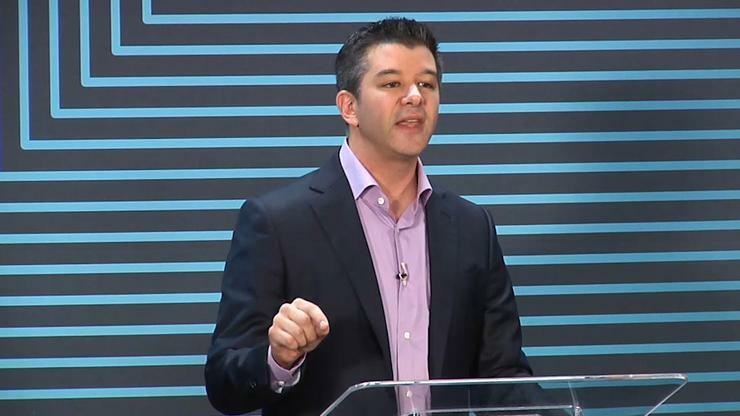 As part of the settlement, which covers the classification claims involving Uber in California and Massachusetts, the two sides have agreed that drivers will remain as independent contractors and not employees, the company’s CEO Travis Kalanick said in a blog post. He said a $84 million payment to the drivers could see a top up by $16 million depending on Uber's valuation if it goes public. Kalanick also addressed some other driver issues by promising drivers more information on their individual ratings and comparison with peers. The company will introduce a policy explaining the circumstances under which the company deactivates drivers in the two states from using the app, and will set up up drivers’ associations in both states. The judge of the U.S. District Court for the Northern District of California had granted class certification to the drivers, a decision that Uber challenged in the U.S. Court of Appeals for the Ninth Circuit. The company has said it would ask for an emergency stay of the district court proceedings pending the appeals court decision, unless a settlement was reached, lead attorney and class counsel for the drivers, Shannon Liss-Riordan, wrote in a filing in support of the preliminary settlement. The trial in the district court is scheduled for June. "We faced a risk that the Ninth Circuit may disagree with the district court on his rulings certifying the case as a class action and holding Uber's arbitration clause to be unenforceable," Liss-Riordan wrote in an email. Uber had also made it clear that it would try to appeal to the Supreme Court if the Ninth Circuit went along with the decision of the district judge. In the event, Liss-Riordan pointed to both monetary and non-monetary benefits to the drivers from the proposed settlement, including that Uber will not be able to deactivate drivers at will, and drivers will not be subject to deactivation for low acceptance rates. Drivers who believe they are unjustly terminated may bring their concerns to a panel of their peers and those who are not satisfied with the result of these appeals can bring their claim to a neutral arbitrator, at Uber's expense, Liss-Riordan wrote in her email. Uber will also make clear to riders that tips are not included in its fares, she added. Another major risk that Liss-Riordan took into account in supporting a settlement “was the risk of trying the all-important employment status question to a jury,” she wrote in the filing. The counsel was concerned that the jury would rely on their own lay understanding of what constitutes an employee or an independent contractor. “I am concerned that a jury would give undue weight to the fact that drivers value their flexibility (something that Uber has made clear it intended to impress upon the jury even though I contend it is not relevant) and would likewise give undue weight to the fact that the parties’ contract states that drivers are independent contractors,” she added. "Importantly, the case is being settled - not decided," wrote Liss-Riordan in her email. "No court has decided here whether Uber drivers are employees or independent contractors and that debate will not end here." As a result of the high-profile litigation, a number of companies have chosen to classify their workers as employees with the relevant protections, she added. The proposed settlement between Uber and the drivers follows another preliminary settlement proposal between Lyft and drivers that also skipped the reclassification issue, despite opposition from the Teamsters Union. The union said the settlement in the proposed class-action suit would continue to “misclassify” Lyft employees in California as independent contractors, leaving its business model intact. Judge Vince Chhabria of the U.S. District Court for the Northern District of California has rejected the amount of the settlement, though the reclassification issue is likely to continue to be side-stepped as the judge is of the view it is a policy concern better decided by a legislature or executive.